The C6 logo has been incorporated into this super slick wrap around hydro carbon fiber rimless frame. The right lens also displays the Corvette script. 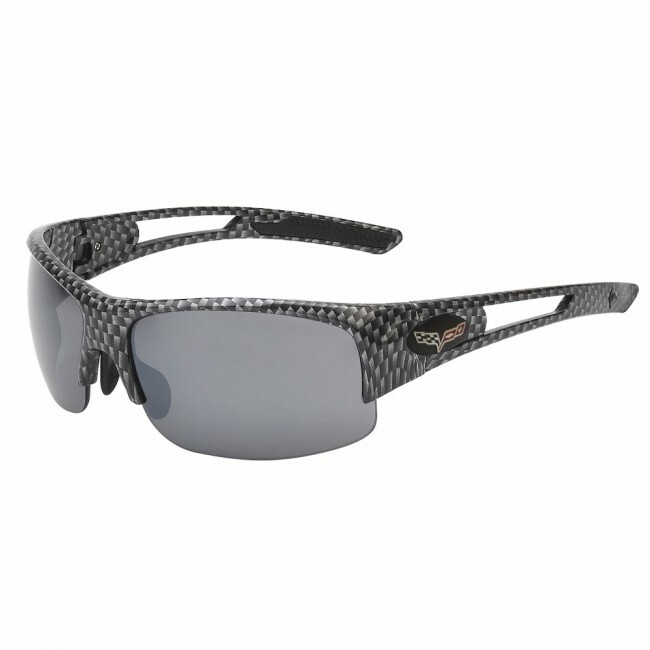 Smoke flash mirror polycarbonate lenses are virtually shatterproof and super scratch resistant.